There are others items like potato extract, coconut oil; salt water can also be good when treating a swollen lip. If the symptoms persist, see a doctor. Take care of yourself. Love your lips, your lips will love you. Who does not want to look beautiful? Does beauty always lies in the eyes of beholder? Maybe sometimes it does but not always. Scars on face, defective nose or swollen lips are some of those problems that make the beholder think about the perfect definition of beauty. A perfect shaped, well complexioned face can also look ugly if the lips are not like the way they should be. Maybe sometimes a pair of puffy lips look hot but only if well balanced with the face. Abnormally swollen lips can make you frustrated about your looks. In addition to that, it also causes irritation. You don’t even feel like painting them with your favorite lip color. The most common and obvious reason of having swollen lips are allergies. Some food having allergic substances might be the reason of it. A proper allergy test can help you know if you are allergic to a particular food. Apart from food allergies, some viral infection also can cause you having a pair of swollen lips. It results in blisters that get gathered on the lips and lips get puffed up. 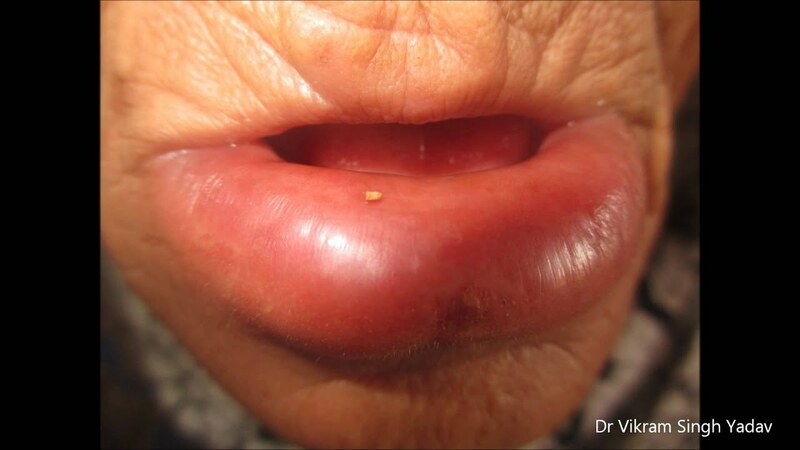 Some physical trauma can also be the culprit for you having lips swollen up. There are other reasons as well of a swollen lip such as inflammation or it may be inherited too. Lips are one of the most delicate parts of a human body. Like your eyes, hair, skin, lips also need to be taken care of properly. There are some wonderful home remedies for you to take care of your lips in a magical, safe and no side effect ways. Hot and cold compress can be a good and easy home remedy for a swollen lip. Turmeric is a nice kitchen substance that works magically as an antiseptic and anti-fungal. Tea bag can also be applied on swollen lips.